The Ak-Chin Clinic provides Community-focused services to address the primary health care needs of the various patient populations within the Ak-Chin Indian Community. The Ak-Chin Clinic is responsible for the medical assessment, treatment, referral, education and coordination of patient care. It is part of the Komatke Health Care Center, where access to Family, Internal, and Pediatric Medicine offers continuous and comprehensive care from the newborn child to elders. 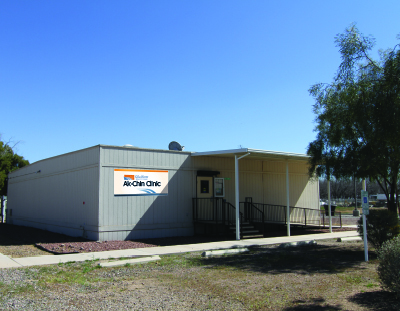 Pharmacy and Public Health Nursing services can be obtained through the different Gila River Care locations. In addition, certain services can be accessed at Hu Hu Kam Memorial Hospital, which includes Labratory, X-ray, Imaging, Physical Therapy, Optometry, Dental, Behavioral Health, the Life Center, and Dialysis Services.